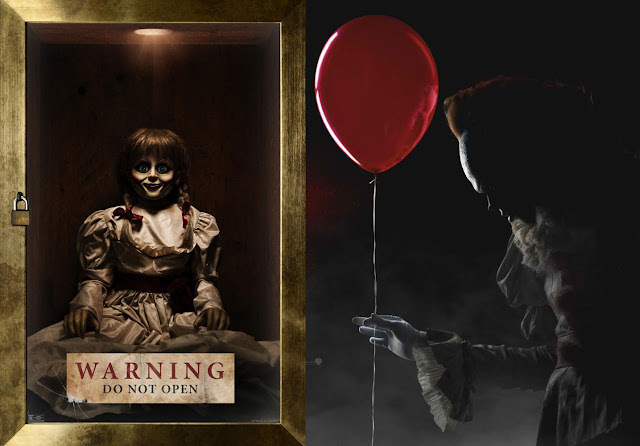 4-Minute Footage from "IT" to Play in Front of "ANNABELLE: CREATION"
As if you need more reasons to be scared with "Annabelle: Creation", Warner Bros. Philippines has just confirmed that "IT", another upcoming horror film this year will have a 4-minute clip that will play ahead of the film when it opens this Wednesday, August 23. And here's the clincher, the fresh footage will only be released in theaters and won't be officially released online. And yes, Warner Bros. Philippines also encouraged viewers of "Annabelle: Creation" to stay in their seats after the end-credits for another special treat. In "Annabelle: Creation", several years after the tragic death of their little girl, a dollmaker and his wife welcome a nun and several girls from a shuttered orphanage into their home, soon becoming the target of the dollmaker’s possessed creation, Annabelle. The film stars Stephanie Sigman, Talitha Bateman, Lulu Wilson, Philippa Coulthard, Grace Fulton, Lou Lou Safran, Samara Lee, Tayler Buck, Anthony LaPaglia, and Miranda Otto. New Line Cinema's "IT" is based on the hugely popular Stephen King novel of the same name, and will open in Philippine cinemas September 7, 2017. When children begin to disappear in the town of Derry, Maine, a group of young kids are faced with their biggest fears when they square off against an evil clown named Pennywise, whose history of murder and violence dates back for centuries. Directed by Andrés Muschietti of "Mama" fame, "IT" stars Bill Skarsgård as the story’s central villain, Pennywise. An ensemble of young actors star in the film with Jaeden Lieberher, Jeremy Ray Taylor, Sophia Lillis, Finn Wolfhard, Wyatt Oleff, Chosen Jacobs, Jack Dylan Grazer, and Nicholas Hamilton.